selection from the analog photographic series "Rainscapes"
David Fried, Rainscape No.35, 2004, archival c-print, diasec, aluminum, 50 x 60 cm. At first glance, the colorful arrays of countless water drops in Fried’s Rainscape photographs appear to be falling galaxies—clusters of dripping light painted on the night sky. 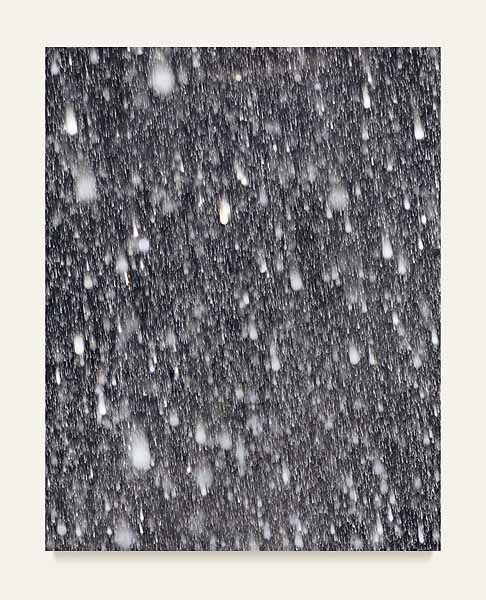 On closer inspection one sees that they are actually photographs of pure falling rain. 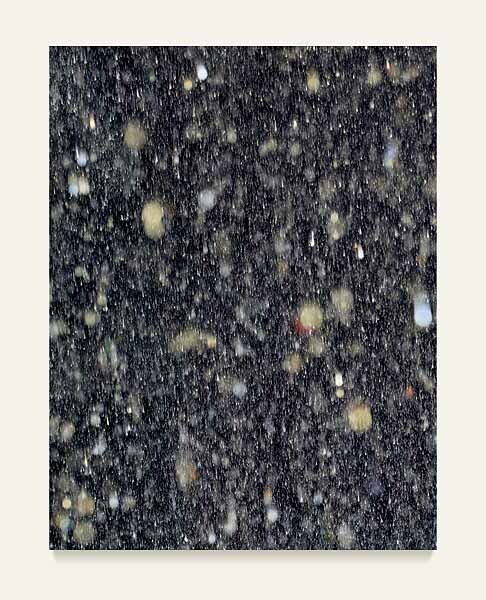 Fried captures strongly individual patterns of rainfall on large format color film. Rich chromatic variations are revealed by the prismatic effect of light passing through each individual raindrop, evoking a spacious cosmic look. 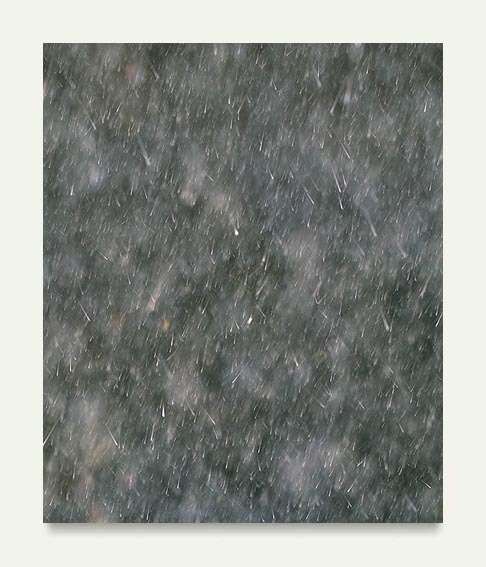 His large-scale Rainscape photographs exude a quiet replenishing quality that unloads poetically within the viewer. Observing what gives rise to civilizations, or may ultimately lead to their demise, Fried sees freshwater as an issue of great importance in the 21st century. Since ancient times, with prayer and rituals, to science and its methods, humans have wished to influence the weather. And although the collective human pursuit has undoubtedly had profound affects on the ecosystem, we are luckily still unable to control bigger systems such as the weather. Rain still falls freely through the world’s skies and harvesting hands before completing it’s cycle. However, access to—and usage of—clean water is being moved into increasingly privatized hands, servicing industry and profit more than local needs and down-river ecosystems. Fried’s Rainscapes portray sweet water at its birth and invites us to contemplate its worth as we become its temporary custodians. 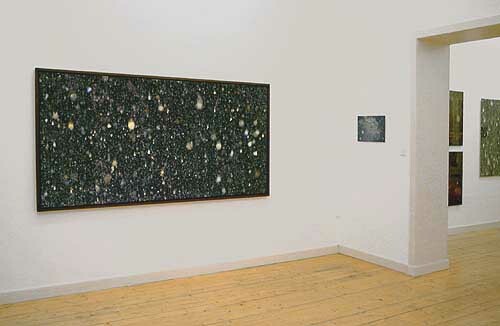 The inspirational kick for my ‘Rainscape’ works came in April 1995 on the Canary island of La Palma. 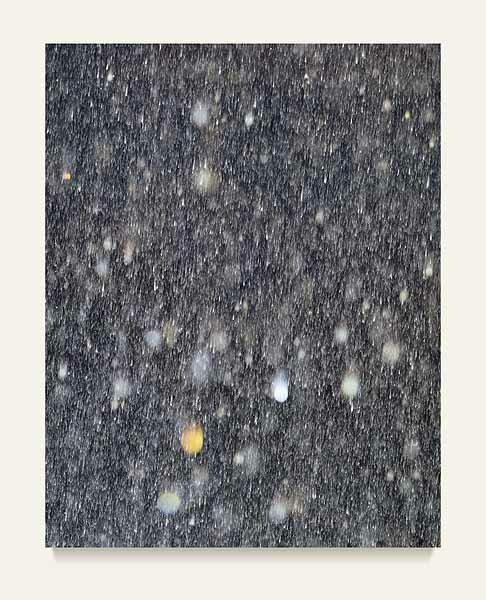 Events there inspired an ongoing series of non-digital large-format photographs of pure falling rain. The story goes: I was staying at a rented hut by a farmer family doing watercolors. They told me it hadn’t rained a drop in over one and a half years on the west side of the Island where we were. One day I bicycled up the 2400 meter volcano through the clouds, getting wet by them at 2000 meters, and I instantly felt rejuvenated. Later that night at a big local outdoor Fiesta, I began a spontaneous 6 hour rain dance – yeah, the live 17 piece band was incredible too! The 150 or so town folk and farmers thought I was totally nuts, but the kids really had fun joining in. The next day it actually did rain and the following night, all the farmers in the area brought me fruit and homemade wine in sincere thanks and wonder. Weather is something that throughout the ages, humans have wished to influence and control. In 2003 there was a record drought in normally overcast Germany where I stay, and it was then that I began to document every nighttime rainfall possible with an elaborate technique, which includes 8x10” film and up to 20,000 watts of flash. This is because my subject matter is essentially transparent and wants to stay that way.